A cache overlooking a valley on Bodmin Moor. This cache is situated at a viewpoint above a quiet valley on Bodmin Moor, the De Lank river flows along the bottom of the valley. Ponies are grazed in the valley in winter & I`ve seen deer here in the wooded areas. Parking is available at N50`32,199 W004`40.926, this is a few minutes drive north of Blisland, (please don`t obstruct the nearby gates). Follow the public footpath NW through a field, then over a stile into the open valley. The valley is "right to roam" access land so feel free to explore! 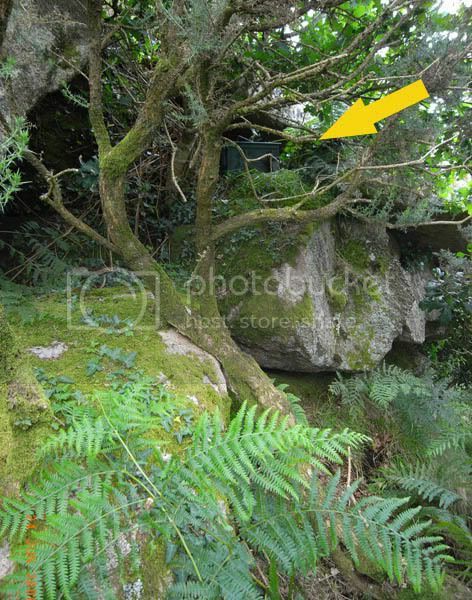 You are looking for a large ammo box (about 6 litres) hidden in rocks at a viewpoint overlooking the valley. It`s pretty well hidden, the rocks are overgrown with gorse, bracken & small trees, so despite its size it may take a bit of looking. The coordinates should be reliable though, sat. signal was strong & I took a reading averaged over 5 minutes. The spoiler photos were taken at ground level, it`s also possible to reach the cache from above. Take care when scrambling around the rocky bits, the thick summer bracken makes holes at ground level hard to spot! Some of the paths also get very muddy after rain. Good hunting & enjoy your walk. 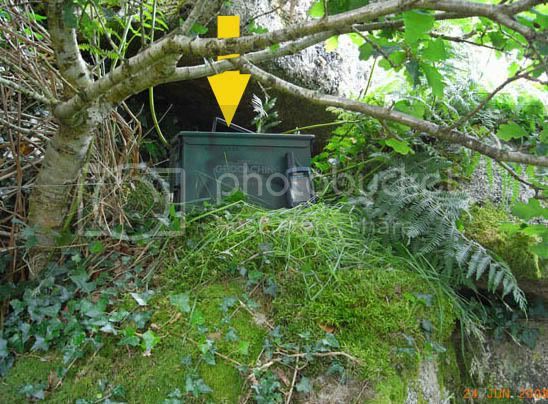 P.S.- this cache was originally placed on 24/6/2008 & listed on TerraCaching as TCC7M. It`s now archived on TC, if you logged a previous visit there, please feel free to log your find here.